Ellie Claire Journals are not only beautiful, they help any willing seeker find peace for at least a little while in their day. Finding moments of peace these days can be quite challenging. I randomly have inspirational moments come out of nowhere, as that’s how they work. However, peace… well… we have to seek those out. They don’t just fall from the sky for some reason. I know, that’s lame. Wake up, start the coffee, to do list flying through your mind, phone ringing, texts coming in, all before 7 am. Sound familiar? Maybe you have kids demanding your attention as well, probably with wide awake unhappy wails. No doubt the first part of this paragraph goes on as well. However you find peace, make time for it. Whether we want to admit it or not, it’s the most important thing we can do (barring emergencies and such) to be our best selves. Journaling allows us to work out the things that keep us awake at night, to better understand situations and life events. They are also wonderful for drawing closer to God. 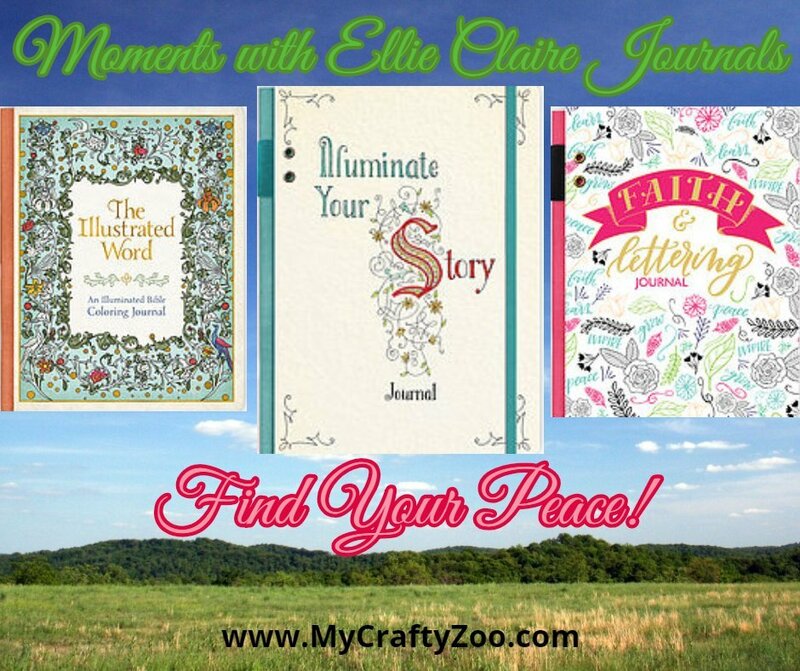 We received a wonderful set of journals by Ellie Claire and were pleased to review them! 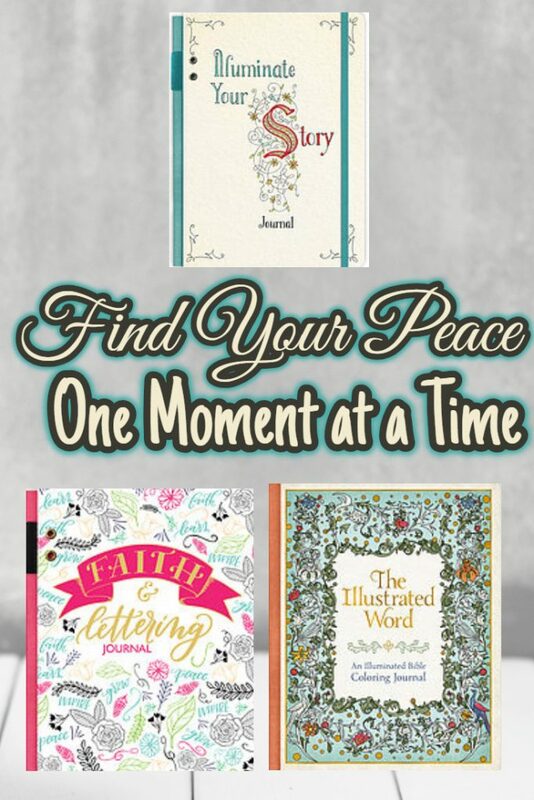 The set is pictured above and includes: Illuminate Your Story, The Illustrated Word, and the Faith and Lettering Journal. Each of them are absolutely stunning journals, they seem much better than the notebooks I used growing up! While my thoughts were that they’d make great gifts for so many people that I love, this girl feels the need to buy additional copies as gifts and get started on my own! They are so great, it’s hard to choose which to start in! 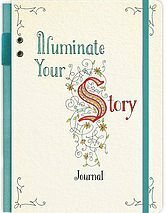 The Illuminate Your Story Journal contains instructions on drawing spectacular illuminated letters to begin your story. Very similar to those that were once in children’s books. Can’t wait until I conquer that talent! 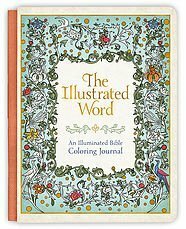 The Illustrated Word is an Illuminated Bible Coloring Journal. Opposite the journal pages, are coloring areas and prints of medieval illustrated manuscripts written hundreds of years ago. Each one is credited so that you’ll know what they are and when they were printed. 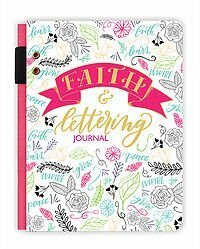 Faith & Lettering Journal includes not only lined pages but also pages ready for one to express themselves however with lightly dotted grids. Definitely a journal for someone who enjoys drawing or doodling. A fantastic way to freely express one’s feelings and journey. There are many ways to incorporate hand-lettering into your life, spiritually and practically. The purpose of this journal is to inspire you to reignite your devotional time, to imprint Scripture on your heart, and to help you dig deep into the Word of God through the art of lettering. The Faith & Lettering Journal is designed to be a safe place to practice prompts, try your hand at different styles, and grow in your lettering skills. You’ll practice the basics of hand-lettering, Bible journaling, sermon sketch note-taking, and have space to write about how these techniques are deepening your walk with God. Something special happens when you slow down and take time to focus on Scripture in a creative way!